Pinterest made me do it. Really. I saw this pin, and I immediately needed it in my life. At first, I thought it was gold foil or paint or something super complicated that I'm not allowed to do re my renter's agreement nonsense, but OH NO, my friends. It's so much simpler than that! I posted the picture above on Instagram, and everyone wanted to know how I did it. You wanna know a secret? Gold duct tape. Yes, it exists, and yes, it's life changing. 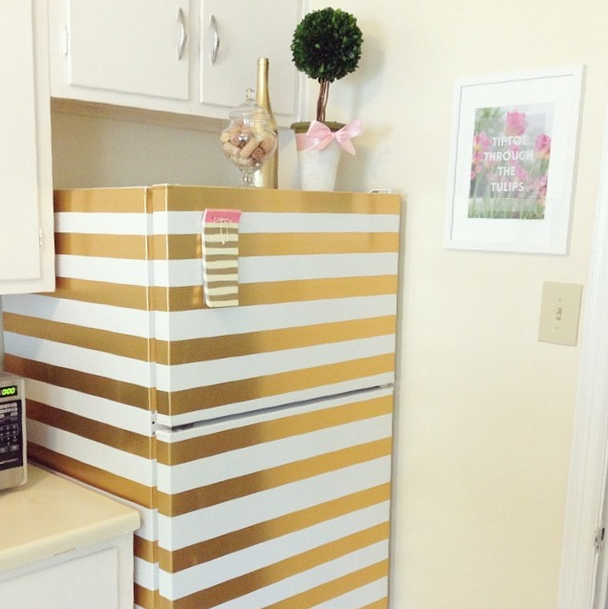 I used 3 rolls, and at $3 a pop, I was able to give my boring white refrigerator a super glam $9 facelift. I'm completely in love with it, and shockingly enough, so is Eric. 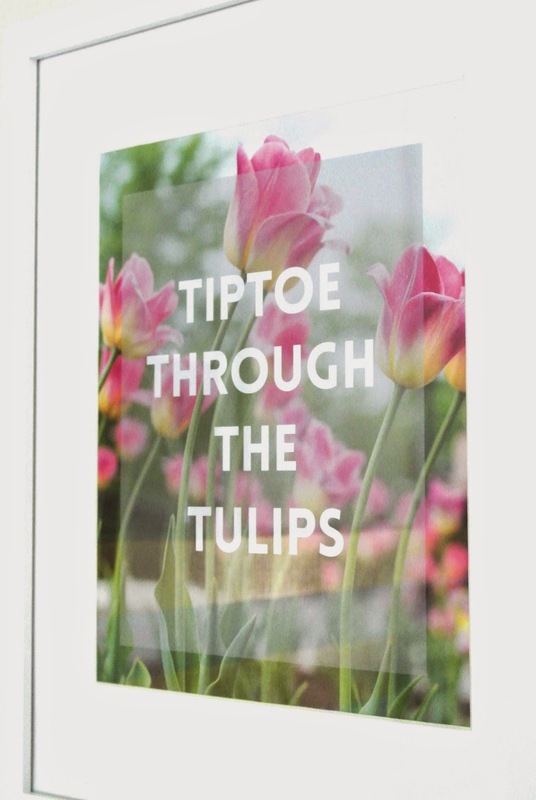 He says it's "like Kate Spade for Kenmore." Ha! What a trooper. I just used the gold duct tape and tried to make it as straight as possible. It took about an hour and a lot of frustration and yelling from my perfectionist self, but I think it came out pretty great! I didn't even measure it! Then all I had to do was style it up a little with some fun decor items (elephant, boxwood, and apothecary jar all from Homegoods...with an added pink bow courtesy of my ribbon box) and then I just spray painted a wine bottle gold. Let's be honest, I'll spray paint anything gold. I'd probably spray paint Hazel gold if she stayed still long enough. 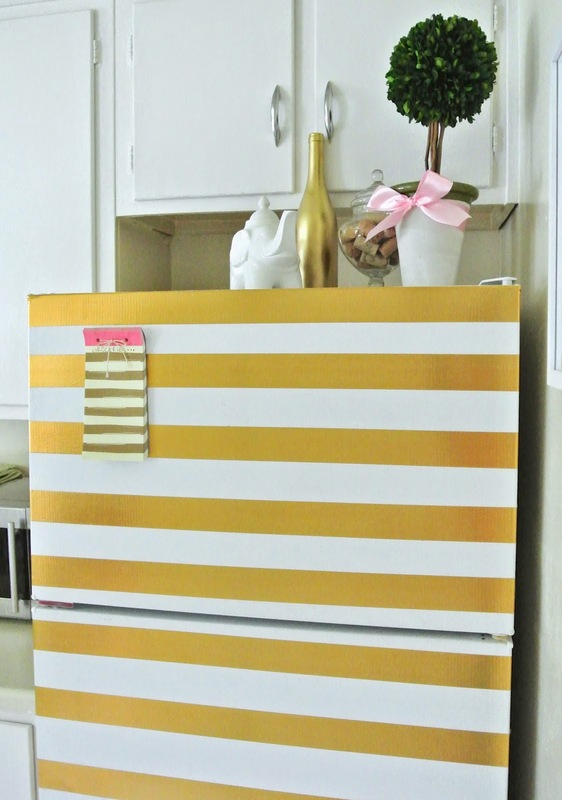 If you do this to your refrigerator, send me pics on Twitter or Instagram! I wanna see!!! okay that is so so cool!! i was expecting the top picture to be the "pinterest picture" and then another one that didn't look nearly as good to be the real thing, because let's be honest that's how most pinterest projects go, but no it really turned out that good! any ideas on if it comes off just fine? For a faster fix for odors insider the refrigerator, sprinkle vanilla extract on some cotton balls, place in a shallow dish and put it inside the refrigerator. Orange extract also works.